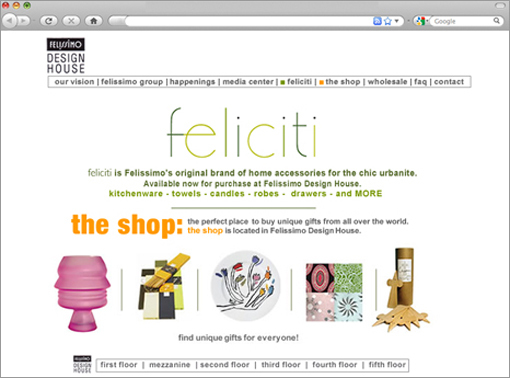 Feliciti the private label of Felissimo, the elegant and hi-end Fifth Avenue retail store, promoted their creatively designed Japanese interior line through this attractive and easy-to-use e-commerce website. In addition to the site, we produced biweekly e-mail blasts promoting new products.. Studio K&M created a site with high visual impact that was harmonious with the brand offering.